This weekend is looking like a busy mess. Here’s what’s cooking. The first version of the Spring Perch is coming along. I already have some ideas to refine the concept and reduce size. Right now I need to get this initial concept completed and shipping it off to GrabCAD, so anyone can play with it. 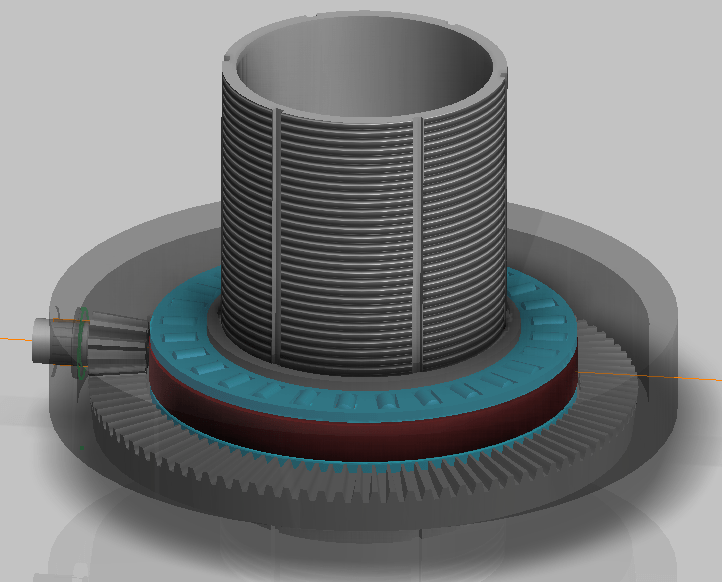 Before I can do that, I need to chop the OA Diameter down a bit, and work the pinion bearing and thrust issues out. Then it’s on to a little Autodesk Inventor Simulation and a lot of Stress Analysis. No matter how bad the design issues, never had a bad day in Inventor. I’m a sad case, but I love do it. That’s why the wife calls it “the mistress”. I have an interview scheduled with Nvidia this afternoon, to get some data on one hell of a video card. The results of that interview and subsequent article (and announcement) will come early next week.